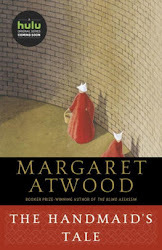 Today I'm featuring a book I borrowed from the library. 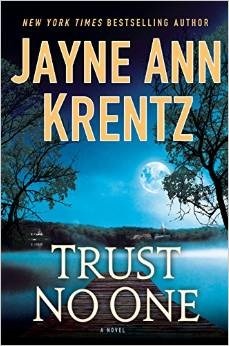 Trust No One is the latest suspense novel from best-selling author Jayne Ann Krentz . . .
Beginning: The note pinned to the front of the dead man’s silk pajamas was a one-sentence email printed out from a computer: Make Today a Great Day the Witherspoon Way. Page 56: "'A long time ago I was warned not to get personally involved with the people who work for me. That way madness lies.'" My thoughts: Jayne Ann Krentz's books and characters are completely engaging. As the opening sentence illustrates, this masterful storyteller sets a suspenseful mood. Friday Focus: The Friday 56 & Book Beginnings #66 was originally published by Catherine for bookclublibrarian.com. This post cannot be republished without attribution.